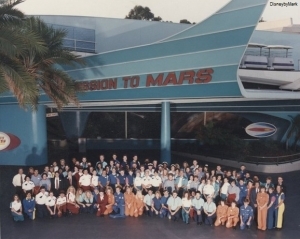 Remember the old “Mission to Mars”? Hard to believe it closed in November of 1993! It was so funny that the main action was the seat bottoms dropping a bit. I think that was the extent of it! Did you know it opened at Disneyland as Rocket to the Moon in 1955? Once we were heading to the moon they renamed it Flight to the moon in 1967 and then changed it to Mission to Mars in 1975. I did find it a good re-use when they remade it into Alien Encounter. But I thought it was scary! I didn’t like the breath on my neck. But in true Disney fashion, they of course remade it again to match with a new popular character (so they had things the kids want you to buy for them in the gift shop on the way out) in Stitch’s Great Escape. Here is a great article from DisneyFanatic.com on their list of 7 great Closed #DisneyWorld Attractions.